3. 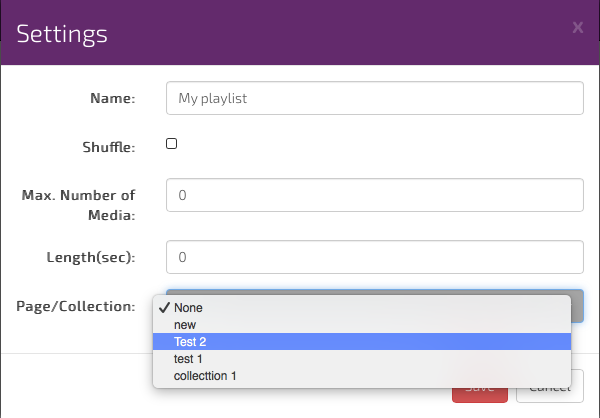 To assign your Page or Collection, place your mouse over the Playlist thumbnail. The thumbnail will reveal Playlist options icon as below. 5. The Playlist settings box will open. At the bottom of this settings box you will see the Page/Collection drop down menus. Use the drop down menus to located the Page or Collection you wish to add. In this example I have selected my page called Test 2. 6. Once the settings windows has closed done don’t forget to your changes.